My wife is a very talented lady. I'm sure that she is not sure how talented she is. This version of Angry Strongo (below), as my birthday card, highlights her skills. It looks better than all my other cartoons. 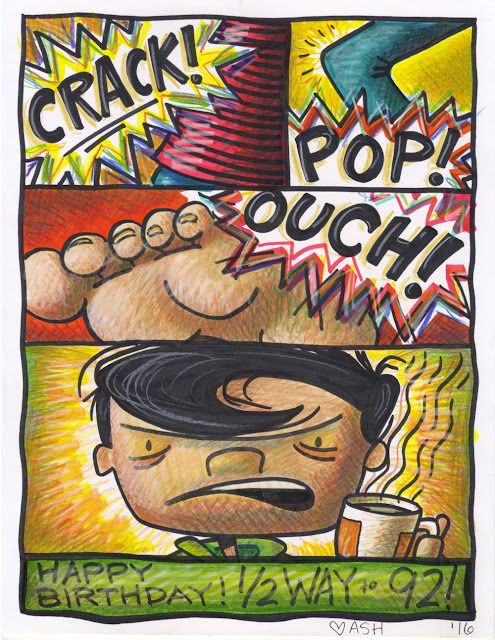 Her sketch hand-coloring is so rich and vibrant that I am considering changing the entire presentation of my comics. We are definitely looking into using this style soon in some other ventures. There is a local antique shop that has this just inside the front door. Having walked past it often, today I noticed many issues. Off center letters, tilted letters and an upside down letter. It would seem odd that the letter was traced upside down on purpose. This is the font that was used. See if you can find the upside down letter. It won't take you long. While on "lunch duty" at my teaching job (we walk between tables and make sure the students are behaving and all), a young 6th grade girl called me over with a terrific smile on her face. She had a look as though there was something awesome to tell me. The awesome news was her fork. Yes!, her fork. It was gigantic and super heavy as well. She thought it was so extraordinary, she had to let someone know about it and felt that my being the bizarre Art Teacher, I was the perfect recipient of this great find. We all laughed as we looked at this abnormally large fork. It was almost a serving fork. I asked a student on the other side of the table if we could see her fork. I took this regular sized fork and placed it next to the enormous one and WOW!!! It really was big. Anywho, we all laughed (not sure why) and I left my "duty" to go back and teach for the afternoon. It was most strange that I couldn't shake the large spoon and the general sillyness of the whole event. How did that spoon get into the school? 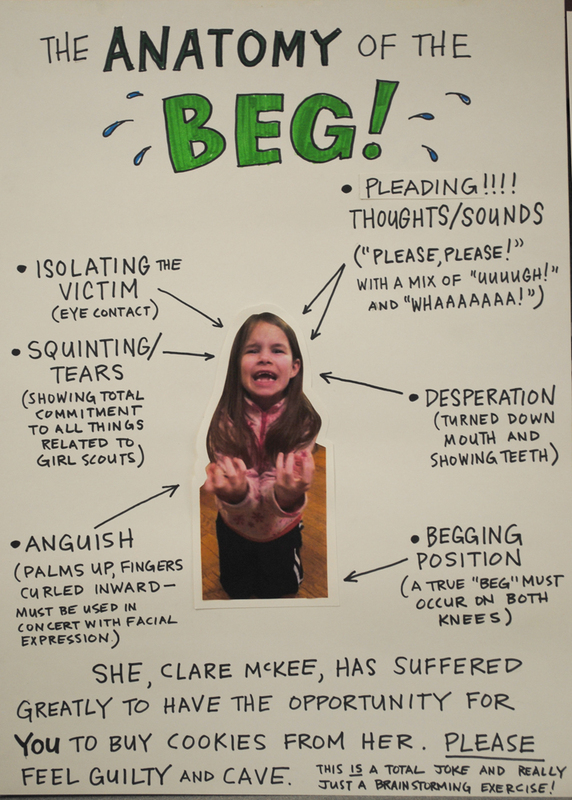 Why did this young lady feel the need to show an adult? Why was it funny? Why can't I stop thinking about this odd silverware anomoly? So...I used the event to show her class how I brainstorm and idea to relative completion. 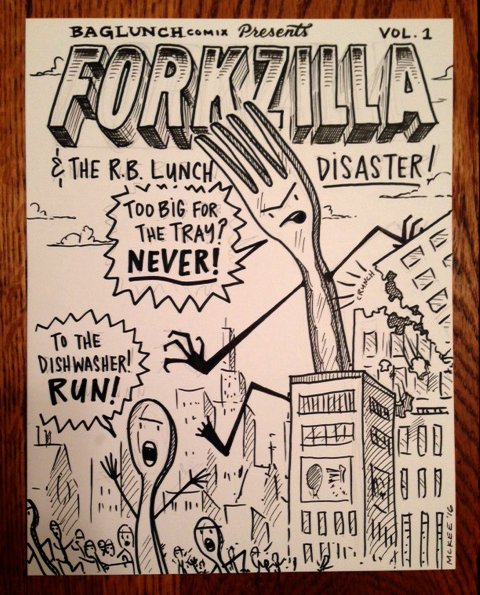 The result was FORKZILLA and the R.B. Lunch Disaster! I will use this as an example for an upcoming Comic Book Cover lesson I teach at that grade level.